Lanier Sailing Academy offers American Sailing Association certification classes in Basic KeelBoat (Beginner Course), Basic Coastal Cruising, Bareboat Cruising, Coastal Navigation, and Advanced Coastal Cruising. We take your education seriously but the fun we have along the way is legendary. Look over the classes listed below and decide how we may help you fulfill you sailing dreams. For customized sailing lessons or private instruction please call (800) 684-WIND (9463). Your American Sailing Association certification is your proof of sail training and experience which will prepare you to sail worldwide with major charter companies, many of whom offer attractive discounts to American Sailing Association members. 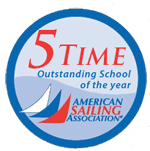 Students of Lanier Sailing Academy consistently rate our school as one of the top ASA (American Sailing Association) affiliate schools in the country. Lanier Sailing Academy “Guarantees” your Basic Keelboat Certification. In the event you do not pass our BKB-101 3 day course within the scheduled course completion date, we will provide additional instruction until you have certified, at no cost to you. (Additional instruction will be available Monday through Friday). Lanier Sailing Academy is proud to be the only school in the South to provide this guarantee. We know how to teach sailing… Our instructors are the best!